This isn't a Photoshopped post – those are these animals' natural colors! This world does have a variety of animal diversity that is so remarkable. If you think you have the satisfaction of seeing the animals around you, then you will likely have to take a walk to many other places in this world. Snake is one of venomous animals that can make anyone choose to walk away rather than closer. Although the reptile lovers had tried to introduce that not all snake is poisonous, you may still choose to run away when there is a snake. Well, what if the snake has a very beautiful colors like a rainbow? 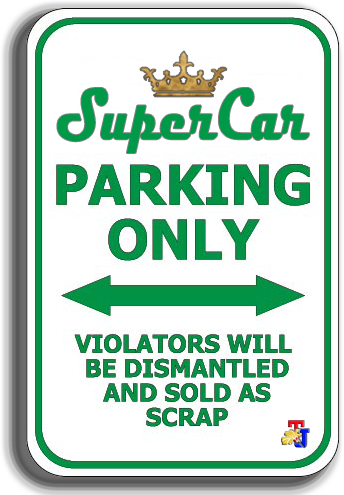 For that you must contact the regal ring neck snake. 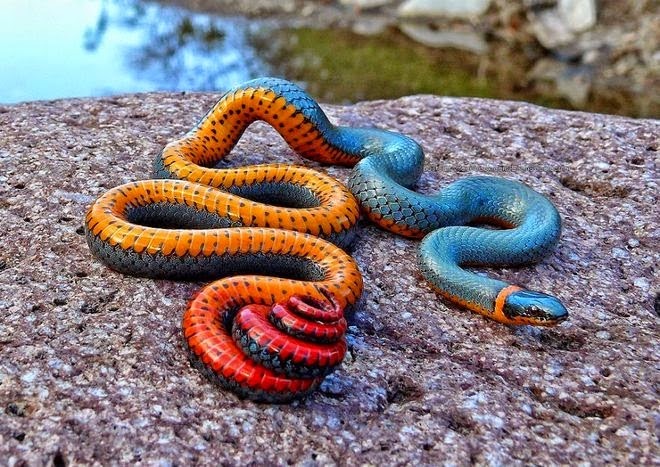 This snake is unique because it has a mix of blue, yellow, red and black on its body. To find it, you can go to the mountainous area of the United States and Mexico, beautiful isn't? Maybe for you who live in urban areas, katydid is something that is very rare to find. But for those who are in the hills, katydid is prevalent mainly because they have super loud noises while in the trees. Katydid is a small animal figure dark but the sound produced is able to make you confused yourself. 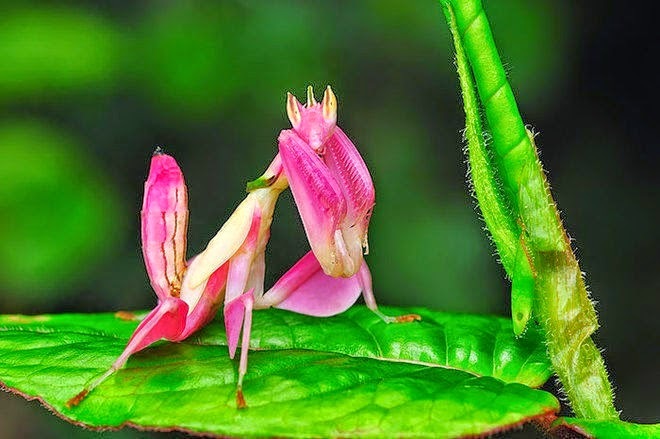 Well, what if the katydid looks more girly? Instead of appearing in a dark color, it is found with the pink color on its body. 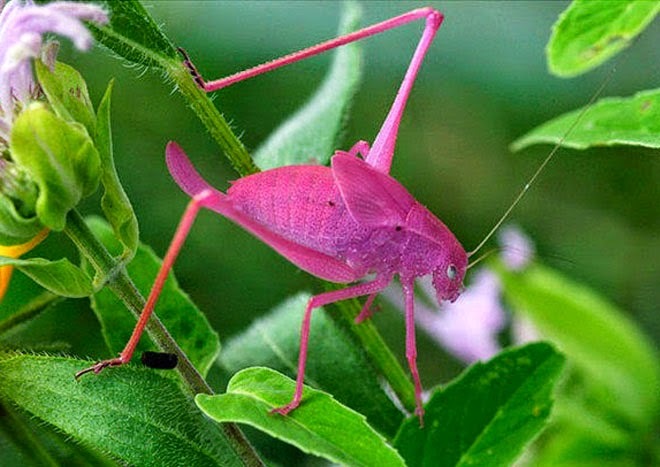 You can find this pink katydid in the Osaka region and the American Midwest. Allegedly, the pink color is due to the unsusual condition of genetic erythrism red pigmentation that occurs in these animals. In 2012, a restaurant entrepreneur named John Guorley managed to get a very unique lobster, when he was fishing in the coastal areas of Maryland, USA. So called, because the John's lobster has a bright blue color. Species which eventually named Toby was also brought by John to the National Aquarium in Washington DC. According to the study, suspected cause of these lobsters have a brigh blue color all over its body is due to the mixing of astaxanthin substances ie an antioxidant substances with a red pigment derived from algae plants in the ocean. 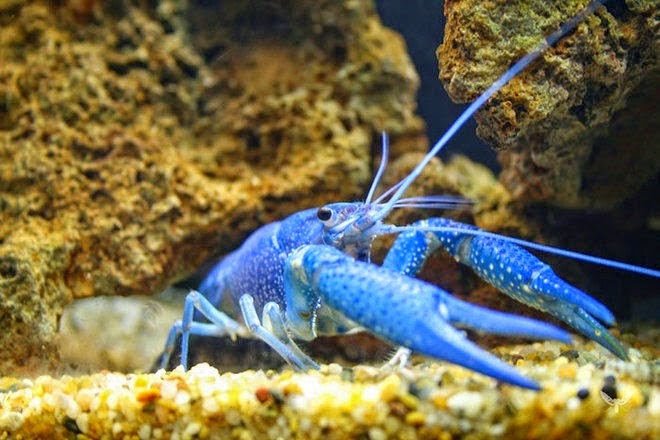 Well whatever it is, the blue lobster is absolutely gorgeous! Snail is one of the animals that are not favored by many people, especially women. Because it has a soft body and mucus that always come out when walking, snail does not become an animal that looks cute and attractive. 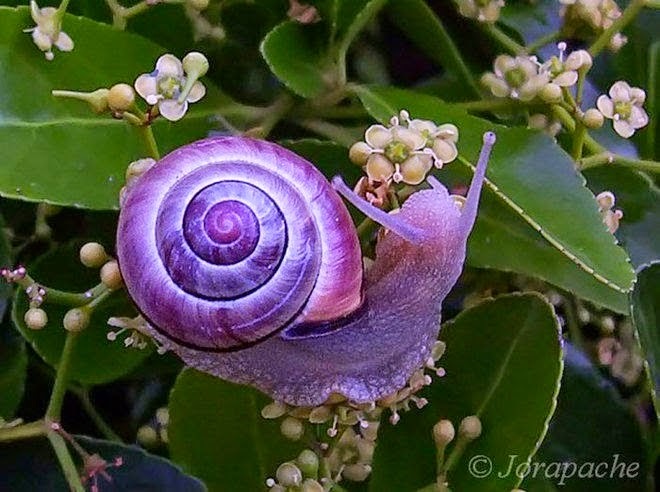 But how you feel if a snail would grow in a purple color like this? Not just purple, the snail shell section even has a purple glow white mix that makes it look like a neon light goes very pretty. Looking at the snail with purple colored on whole body and shells, such as seeing the animals that come from the middle of nowhere..
Everyone also knows that the orchid is one of the prettiest flower types in the world especially Indonesia. 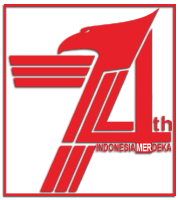 Flowers that you can find a lot in various regions in Indonesia is indeed a beautiful shape and color is very charming.